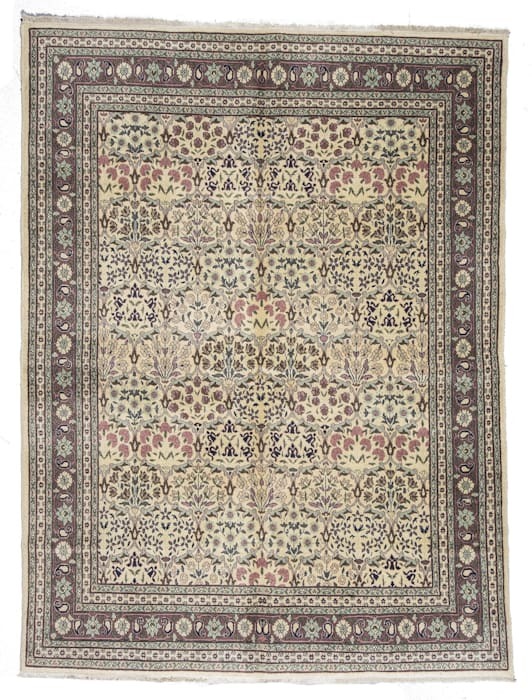 Hereke rugs represent the ultimate in finesse and delicacy within the Turkish rug production of the later nineteenth and early twentieth centuries. Inspired by the court carpets of Safavid and Ottoman Turkey, the Hereke workshops maintained a gold standard of design and weaving technique, above all in their silk and wool rugs, which truly preserved the opulent splendor of the classical past. They are very decorative rugs suited well for today's design market.